Most of the slot machines today and all the online slots are run by RNG, or Random Number Generator device, so computer randomly decides all the results. Nevertheless, superstition is still in charge, at least for the majority of slots players. Well, as we mentioned before, RNG is in charge. Everyone has the same chances in every turn. If you got nothing in 3 rounds, you have exactly the same chances of getting nothing again as of getting the jackpot like the guy next to you. Again, everything is up to RNG. Two hours or two minutes, doesn't matter. If you are lucky, you will hit the button just in the right time and get a prize. Unfortunately, this isn't true. The guy before you won because he pressed the button in exact second when RNG was in the jackpot position, so to say. Theoretically, this is possible, but also highly improbable. There are actually all kinds of controlling issues for casinos, and they wouldn't risk so much. Their profit is already calculated. There is no exact time for the jackpot, at least not for periods. RNG is running all the time, and winning combinations are randomly chosen. If you hit the button in that particular nanosecond, you will hit the jackpot, doesn't matter how long ago it happened the last time. 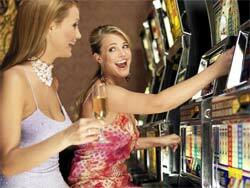 There are lots of other myths and superstitions regarding slots. The essential thing is to understand the term 'random'. It has nothing to do with periodical, or with time schedule. The device chooses combinations, and those combinations don't depend on anything but the machine. There is a limited number of combinations, of course, and some of them are more frequent then the others, so is the chance of getting them. However, there are not scheduled, they are randomly chosen.